Another year passing by, and time to talk about some of your favorite posts. Because this post is about my readers. 2016 has gone by too fast, leaving great memories and collaborations behind. Here’s the list of the most popular posts from 2016. Another week passing by, and really looking forward to the weekend and warmer weather! How’s the week going? Mine is going to be shorter because I have a day off on Friday – just in time for the Riverside Crazy Car Hop -! Today I am showing you all a shoot I did last week in the city. The weather was incredibly nice and I got to wear for the first time this houndstooth pencil skirt from Bettie Page Clothing. Don’t confuse the brand with Tatyana! I got this skirt at Goldie’s Clothing 1st Vintage Market, where everyone could buy and sell vintage clothes surrounded by cool people, music and drinks. I decided to style this skirt with my new Voodoo Vixen top from Pinup Girl Clothing. Seriously, the best top ever made! And this skirt is so comfortable that I could wear it all day long! 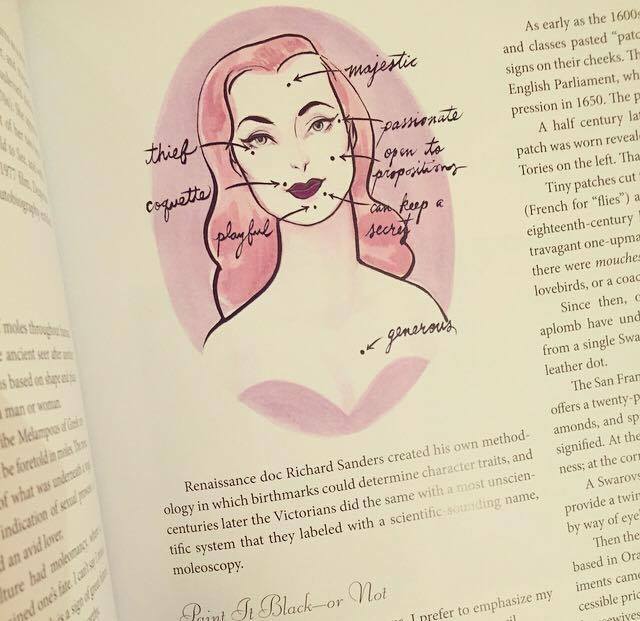 Last week I finally received Dita von Teese’s latest book, Your Beauty Mark. And what can I say? 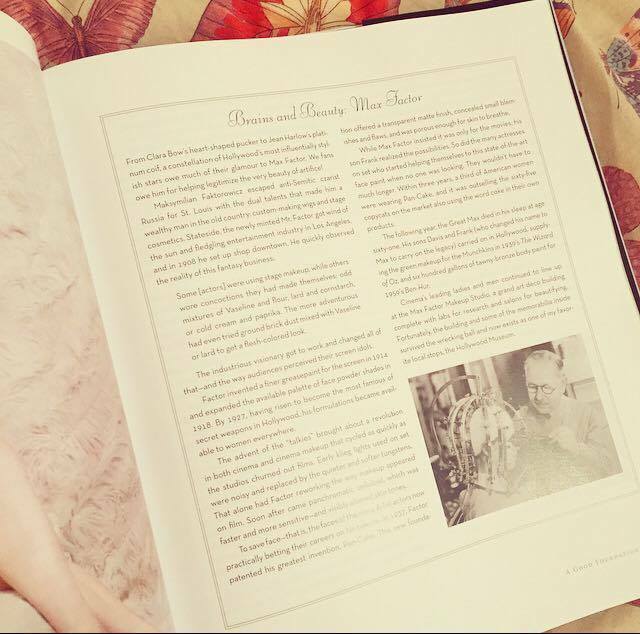 It’s like a Bible for vintage lovers! I decided to buy after seeing amazing reviews online and snapshots from other vintage ladies I follow on Instagram. And this book is worth the wait and the price. One of the aspects I love about Your Beauty Mark is the photo step by step tutorials. 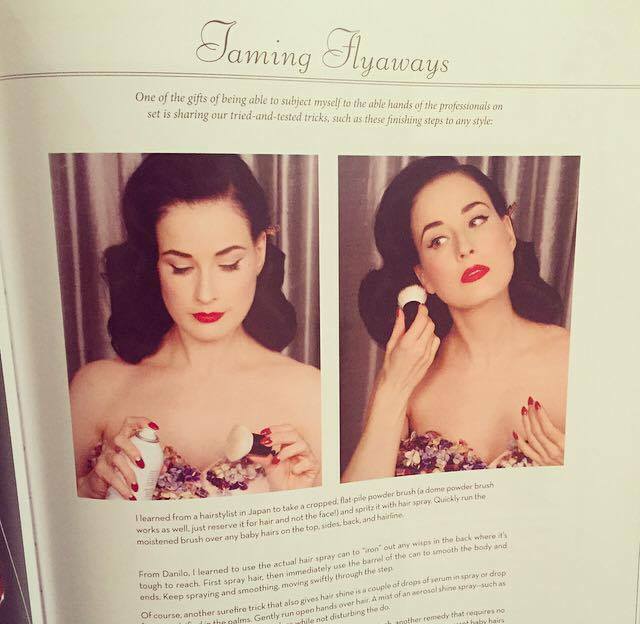 Dita herself helps the reader achieve her signature looks, and not only on hairstyling. She presents tutorials on hair and make up, which will make it easier to try them at home. The book is focused on creating our signature look and style. With tips and information on skincare, make up, inspirational women and beauty experts, this book really does a lot for the reader. It is very encouraging and helpful for anybody willing to find their true self. Your Beauty Mark also features interviews with inspirational people, beauty experts and it offers further information on personalities such as Max Factor. How did Classic Hollywood actresses find their signature look back in the day? You’ll learn how. 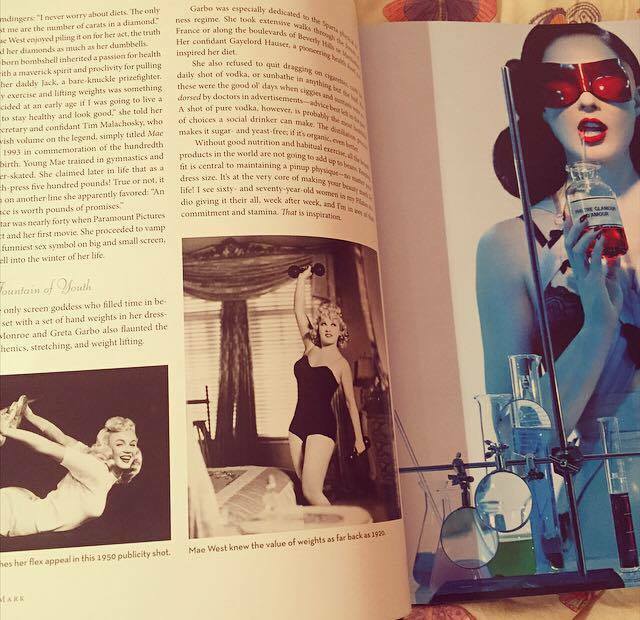 It took Dita von Teese nearly 10 years to write this book, with the help of Rose Apodaca. And it’s clear why. Your Beauty Mark features spectacular photos of the Burlesque icon in almost every page to keep the reader entertained. Plus there’s a chapter with step by step exercise routines for a fit body! Get your copy now on Amazon! A must have for vintage girls.